There are more than 1/4th of the world’s website powered by the WordPress, making it a favorite target for hackers. It makes it extremely important to have a reliable web hosting service to establish any website or blog. There are lots of hosting providers available in the market from which you can select as per your requirement. In this blog, we will review WPEngine hosting company. WPEngine is a managed WordPress hosting provider offering many hosting plans. They are known to offer hassle free hosting, which provides robust and fast servers. It was founded in July 2010 by Jason Cohen and Ben Metcalfe. WordPress hosting is the main focus of the WP Engine. WPEngine works seriously to assist and support the customers with all the issues related to the WordPress. There are lots of features such as daily backups, automatic catching, one-click staging area, automatic security updates and top-tier security comes with the WPEngine. Originally, there are five types of hosting plans offered by the company. They didn’t exactly mention about the Premium and Enterprise Plan, but it looks like more of a custom plan, which can be tailored as per the requirements. The remaining three hosting plans offer unlimited bandwidth, but there is pre-set amount of storage and individual customers can limit the number of visits each month. It is the basic plan of the company which consists of a single WordPress installation with 25,000 visits per month. The Personal Plan offers 10 GB local storage and unlimited data transfer. In this plan, the users get up to 10 installs and 100,000 visits each month. The Professional plan also offers 20GB local storage and unlimited data transfer. The Business Plan gives access to the cutting edge technology to the users. They can have up to 25 installs and 400,000 visits every month. Along with unlimited data transfer, the users get 30 GB data storage. This plan is specially designed for the business users. All these plans come with a 60-day money back guarantee which allows the users to have a risk free way of trying WPEngine. This built-in system serves the media in such a way that it increases site availability and speed. Whenever there is a need to be refreshed, the system will detect it and can do it automatically. It comes with an advanced security system which scans for malware and protects the user’s website with an active firewall. This eliminates the requirement of third-party security plugins. Through this feature, the users are allowed to develop a website without making it accessible to the public. It is protected by a password. The main motive to add this feature is to allow the users to help the developers get started on new projects quickly. The users can connect their hosting account to their Amazon S3 account using the LargeFS feature. The users can get an unlimited amount of storage for the media files via LargeFS. In order to make the process of managing and purchasing simpler, the WPEngine sells their own SSL certificates. If you want to add SSL to your website you have to pay a fee of $49.99/ year to the company. The staging feature will give the users a way of testing new plugins, themes, and other changes without making any changes to their live website. There is a no need for long term commitments as users can cancel the service anytime. The users can get separate staging area for the testing themes and plugins. 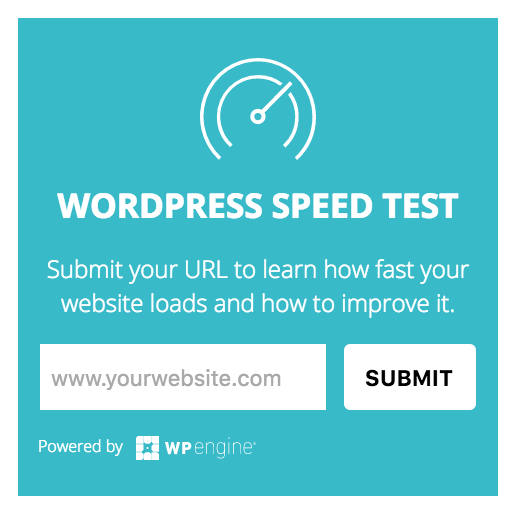 The WPEngine automatically installs the WordPress updates. The company uses EverCache Technology to load the page faster. Excellent customer support service is offered by the company to the users. They can have 24/7 live chat and phone support to solve any query. The main target of the WPEngine is professional businesses and web developers and that’s why they don’t provide cheap shared hosting plans. The cheapest plan of the company starts from $29.9/ month, which is not cost-effective for lots of users. It can turn out to be a big problem for the users who registers their domains and hosts email accounts through their web hosts. There is no provision to use many popular plugins such as WordFence, WP DB Backup, and W3 Total Cache because the WPEngine consists of many services inside of its hosting environment. We can use WPEngine hosting to host different varieties of WordPress based websites. The instant scalability coming with the hosting provider will never let the users down. It is one of the best web hosting companies available in the market. However, it costs much more than the normal web hosts, but the performance and features offered by the WPEngine make it one of the best web hosting companies. This web host is perfect for the users who need to host high traffic websites, but the users need to host a small website should go for the traditional web hosts. Previous articleHow To Create a Blog Page in WordPress Website?